Precise Poured Walls specializes in constructing cast-in-place, poured concrete foundations for new construction projects in the Residential, Commercial, Multi-Family, Industrial and Municipal building sectors. 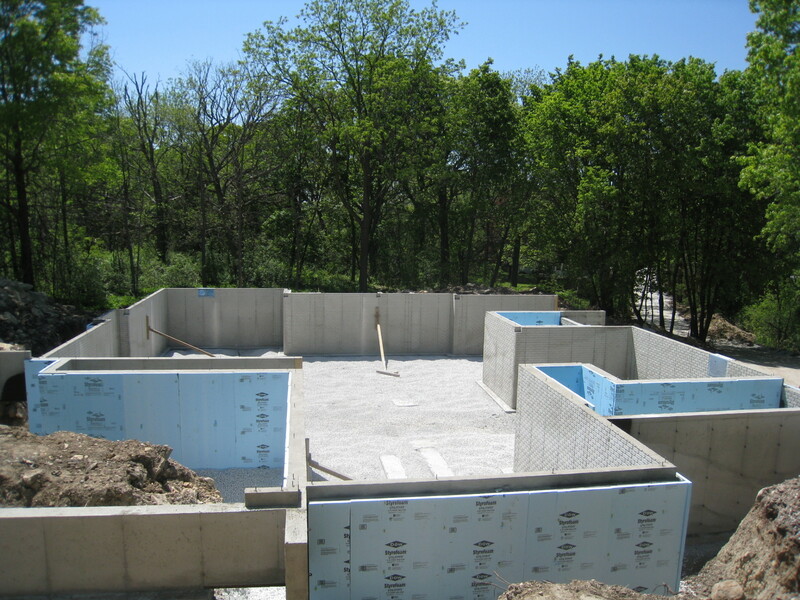 Our core services reside within the residential building industry where we are proud to construct basement foundations for many of SE Wisconsin’s most recognized homebuilders and general contractors (please visit our testimonials page). Our clients range from production homebuilders with as many as 10-15 building starts per month, to custom homebuilders with complex and unique plan requests, to one time customers/homeowners acting as their own general contractor. With multiple experienced field crews, and an ample amount of forming equipment available for construction, we are able to successfully meet our clients rigorous schedules all while delivering a quality end product. Our areas of expertise do not end with residential construction. We have been involved with the successful completion of a wide range of commercial, industrial and municipal projects, as well as, hundreds of multi-family units ranging from 2-unit structures to 16-unit structures and everything in between. What sets PRECISE POURED WALLS apart from similar service providers in the local market, is without a doubt the PRECISION and QUALITY of our finished foundations. The reputation we have created as the producer of quality, highly PRECISE foundations, fuels our repeat and referral customer base within the building community. We truly believe, word of mouth referrals speak volumes in our industry. To that end, we deliver our reputable products by drawing from over 100 years of combined concrete construction experience amongst the company founders and by following an owner-managed, owner-operated philosophy for greater accountability. Our owners can be found on any given job, at any given time, ensuring that all of our foundations are built to the company owners exacting standards. 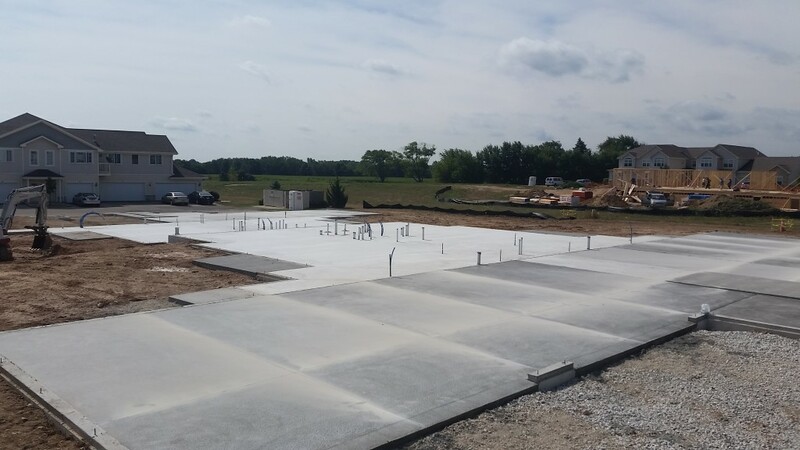 When starting a new construction project requiring a poured concrete foundation it is imperative to start with a foundation that was constructed with quality in mind and PRECISE tolerances. Precise Poured Walls has built a business, a brand and a reputation on those principles. Precise Poured Walls “OUR NAME SAYS IT ALL”!! 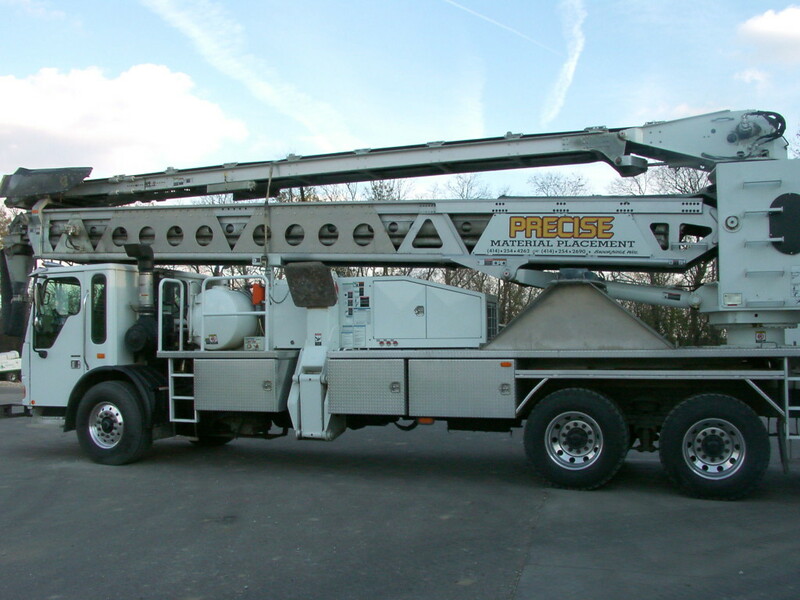 Over the past decade, Precise Poured Walls has created a material placement division to further the success of its core foundation and concrete flatwork services. Many of todays job sites have restricted access for placing concrete and stone when constructing foundation footings, foundation walls and concrete slabs. Through the use of concrete conveyor and concrete pumping systems we are able to access all of our sites to efficiently and cost effectively place all of our own materials without the use of a 3rd party material handler. By owning our own material placing equipment we are able to set our own schedules for the equipment and control the costs passed along to our customers for these services. In addition to servicing our own material placement needs we do “lease” our material handling equipment and equipment operators to other contractors in the industry. *Costs for these offered services are quoted on a “per-job basis”. If interested in these services please contact us for a discussion of your specific needs. In addition to being recognized as an industry leading foundation contractor, Precise Poured Walls also provides concrete flatwork services for new construction projects in the Residential, Commercial, Multi-Family and Industrial building sectors. Concrete flatwork services at Precise Poured Walls are provided by dedicated concrete flatwork tradespeople who specialize in concrete work alone. The craftsmen working in this division are dedicated to the concrete flatwork trade alone, and as such, are experts in the trade. What this means to the end user is that their project was constructed by a dedicated tradesperson in the concrete flatwork service industry instead of an individual who may do foundations one day, footings another day and concrete flatwork the next. To create a durable, long-lasting concrete slab the provider needs to an expert who specializes in the trade. As with our foundation division, our core concrete flatwork services reside within the residential building industry. It is here that we are able to offer our customers an “all-in-one” contractor selection process. Because a lot of the work that takes place during the construction phase of the foundation walls has a direct impact on the construction of the concrete flatwork associated with the project, it only makes sense to have the same contractor responsible for completing both phases of the construction. By being involved with the beginning phases of the project during the foundation construction, our operations teams are well aware of the project scope and any conditions that could affect the completion of the associated flatwork. As a direct extension of the concrete flatwork services provided by Precise Poured Walls, we also have an experienced crew that specializes in decorative concrete flatwork. Decorative concrete applications have risen dramatically over the past decade and are now more commonplace on building sites everywhere. To meet the demand for this sought after service, our experienced trades people have attended educational industry seminars on the processes involved with constructing quality decorative concrete and have logged hundreds of hours completing one of a kind, decorative concrete show pieces for our customers. What sets our decorative work apart from others in the industry is the attention to detail demonstrated by our craftsmen and the knowledge of how all the materials involved work together. By blending this knowledge and attention to detail we have been able to complete some true one of a kind, works of art! Applications for decorative concrete flatwork most commonly seen in the residential industry are decorative walkways, patios, driveways and stoops/steps. Our decorative craftsmen are always happy to make suggestions to prospective customers during the design and conceptual phases of the project. 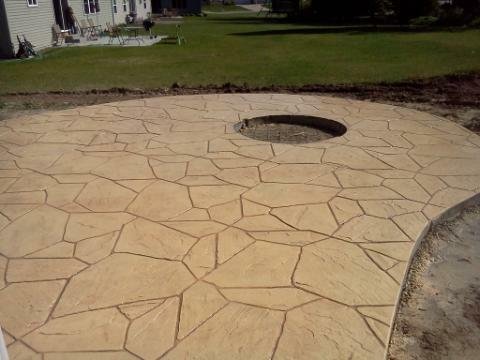 The options for decorative concrete ideas are endless and are limited only to what can be imagined. Please see the Decorative Concrete gallery for examples of our completed work.